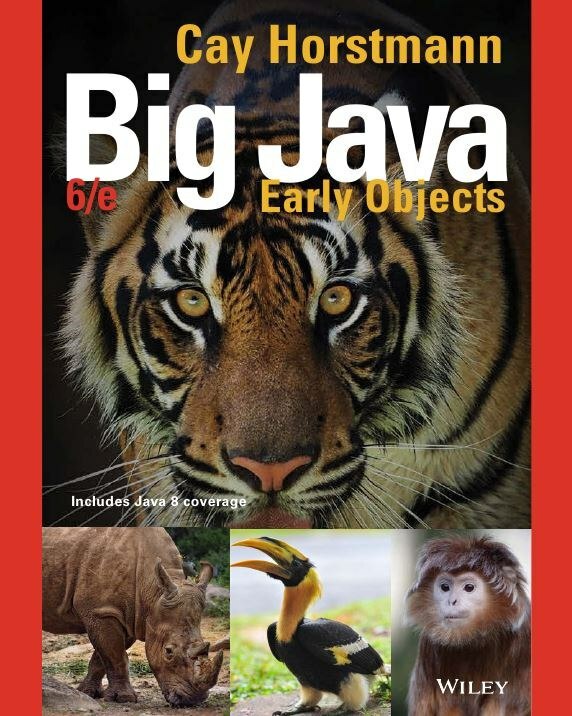 Cay Horstmann’s sixth edition of Big Java, Early Objects provides an approachable introduction to fundamental programming techniques and design skills, helping students master basic concepts and become competent coders. Updates for the Java 8 software release and additional visual design elements make this student-friendly text even more engaging. The text is known for its realistic programming examples, great quantity and variety of homework assignments, and programming exercises that build student problem-solving abilities. This edition now includes problem solving sections, more example code online, and exercise from Science and Business. This text is an unbound, three hole punched version.